Er is weer een nieuwe vlog online. Deze is gefilmd tijdens de reguliere les, waarbij we een aantal potjes van Annoir, Joost en Bart analyseren! Have fun. 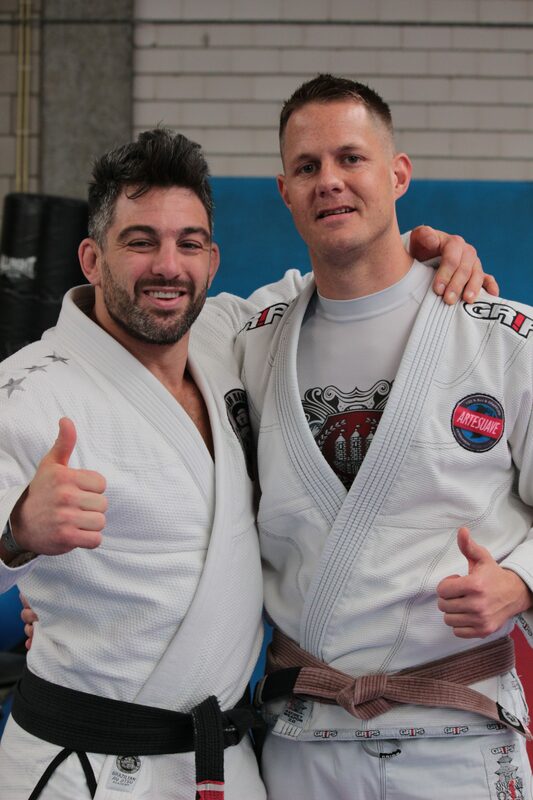 Last week the legendary Demian Maia was in the Netherlands. 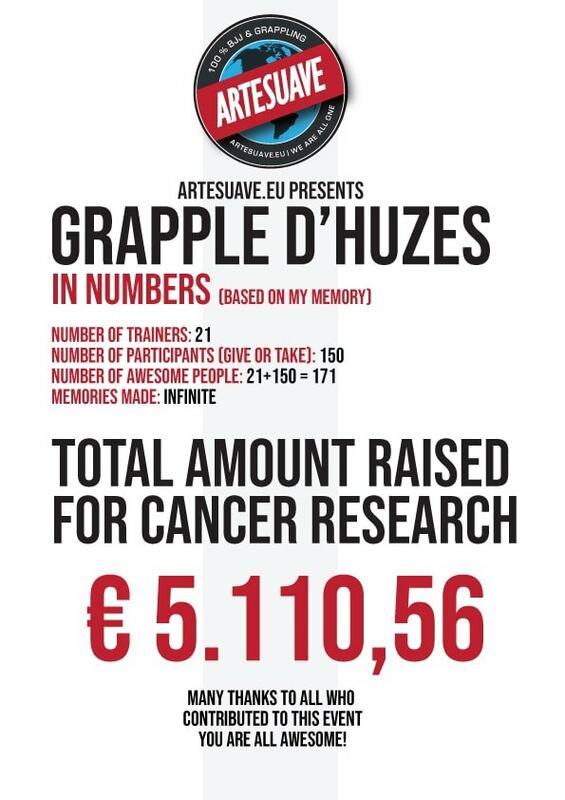 I am sure most of you already saw the pictures and articles, both by the European Gracie Jiu-Jitsu Federation and UFC Nederland. 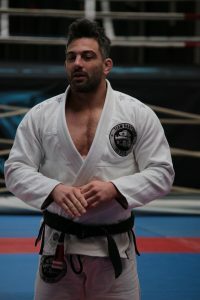 I thought it would be nice to give a little bit of background info on how it all started, and how the EGJJF was able to host the seminars with Demian. 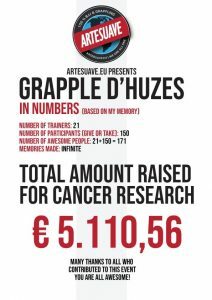 As most of you know, I am one of the fouders of the European Gracie Jiu-Jitsu Federation (EGJJF). 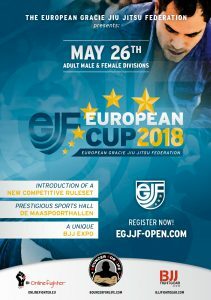 With the EGJJF it is our mission to bring Jiu-Jitsu to the practitioners in Europe. And with Jiu-Jitsu, I mean the well established self-defense Jiu-Jitsu, not the sport Jiu-Jitsu that requiers strength and flexibilty. So, in early 2017 we, a delegation of Team Babytank, traveled to Los Angeles and San Diego to train Jiu Jitsu. 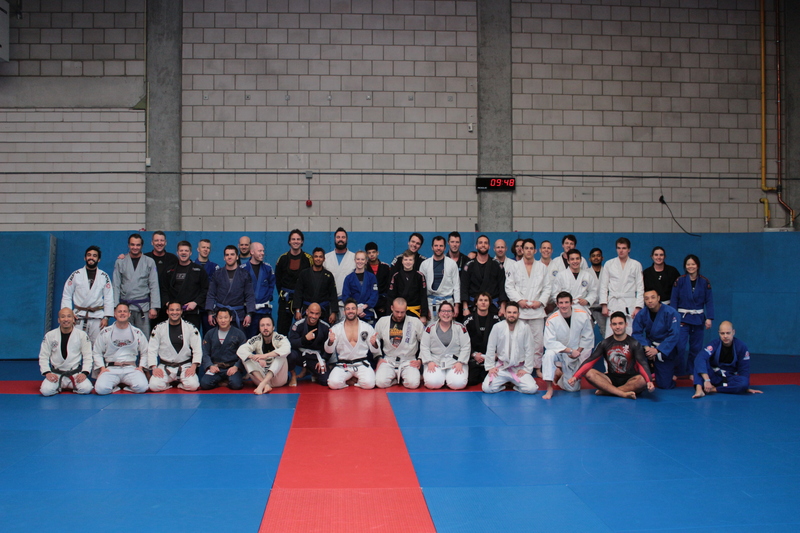 While being there, we trained with Xande and Saulo Ribeiro (amongst others). So, we tried to organise a seminar with Xande and/or Saulo, but it proved to be difficult to schedule already (not in 2017). So, Mike raised the question if it would be a good idea to host a seminar with Demian Maia (summer/fall 2017). That was a great idea offcourse! So he tried contacting them via their website, even let Alex mail them in Portugese, but there was no reply… Thank god for social media and Mike’s persitance, he just contacted Demian directly, he replied, and Mike and Flavio got in contact. By contacting Epic MMA / UFC Nederland, we got the chance to spread Jiu-Jitsu among a broader public in the Netherlands. 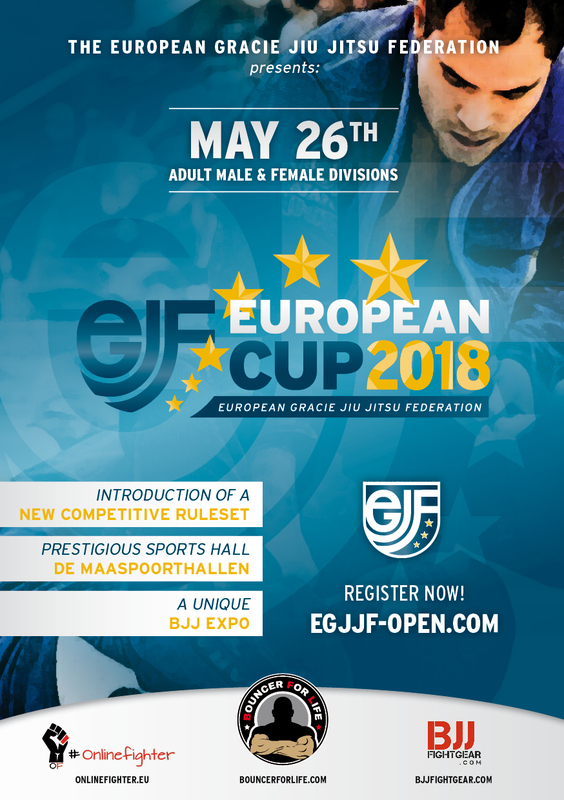 A great opportunity for the EGJJF, but more importantly, our Jiu-Jitsu. So, the part above describes a bit how the seminars were planned, due to Mike’s help. This shows how important is it to have a good, and strong team, thanks bro! So, with the official part being done (I won’t bore you with all the administration, promotion etc.) it was time to pick Demian and Flavio up from the airport. Somehow it always amazes me how Jiu-Jitsu people are always cool and on the same vibe! You always wonder if the guys you are going to spend some time with, are actually fun to hang out with. This was 100% the case with these guys. We went around Amsterdam, Den Bosch and had fun, shared stories and agreed to meet eachother again soon! So, our next trip will go to San Diego to meet Team Maia again, and hopefully in 2019 we’ll host another Demian Maia seminar. I do want to end this story with a big thank you to you who is reading this. 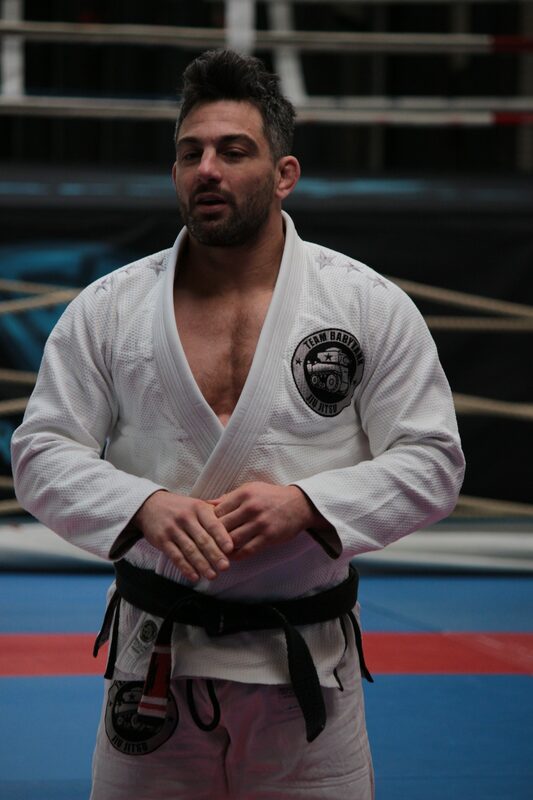 You’ve probably attended the seminar, or otherwise supported the EGJJF’s events. Although it is all being done for you, it is not possible without you. Harold and me are gratefull that we are able to do all this for and with you all. Don’t let the bullies get you! In dit nieuwe project van Ralek Gracie zien we een serie genaamd ‘The Foundation’, waarin een jongen gepest wordt en kennis maakt met Chris Haueter. Een leuke serie met een serieuze toon erin! Afgelopen donderdag is er een hardloper in de bossen aangevallen, nadat eerder tussen het slachtoffer en de dader een verkeersconflict was ontstaan. De dader heeft daarop het slachtoffer gevolgd en opgewacht, om deze vervolgens aan te vallen. Dit gehele tafereel is op video vastgelegd…. Wil jij jezelf ook kunnen redden in dit soort situaties? Meld je dan nu aan voor een gratis proefles bij door HIER te klikken! We wensen iedereen fijne feestdagen! Kijk de laatste vlog en pak die kortingscode voor de webshop mee!